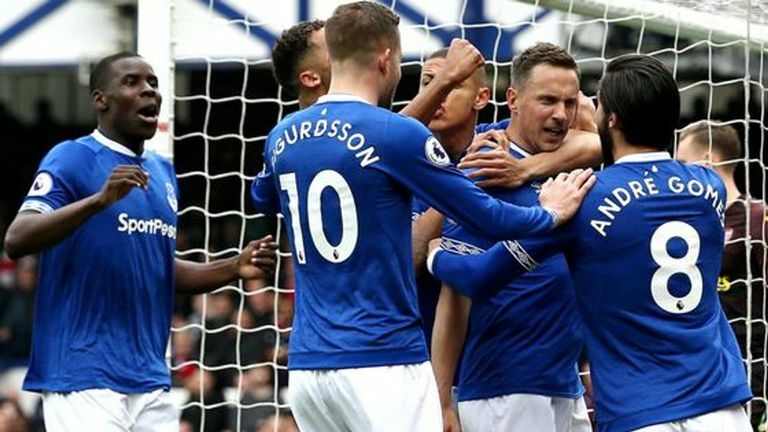 Marco Silva says team spirit was key in Everton's 1-0 victory over Arsenal at Goodison Park on Sunday. 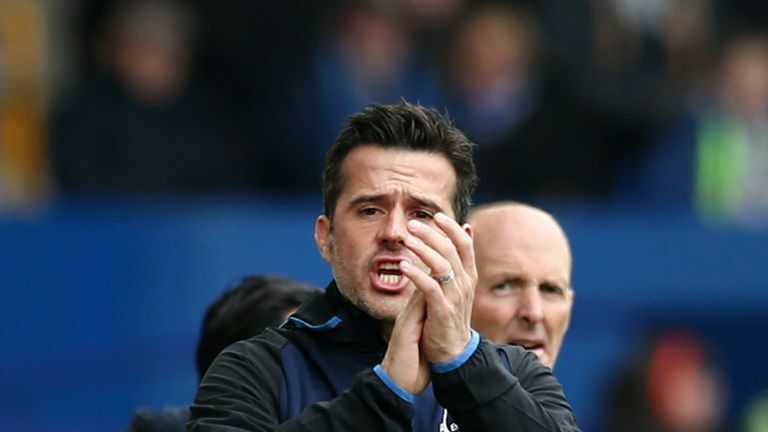 Everton boss Marco Silva believes his side 'fully deserved' three points in their 1-0 win over Arsenal at Goodison Park on Sunday. Phil Jagielka, a late replacement for an ill Michael Keane, scored the only goal in a dominant Toffees performance that sends them ninth in the table. And Silva was delighted with his side's third consecutive win in the Premier League. He said: "Congratulations to our players, our fans in our stadium, we fully deserve three points. Jagielka's goal separated the two sides but Everton could have had more but for some wasteful finishing, registering 23 shots on goal and six on target. But Silva was quick to praise his captain's impact at late notice. "Jags is a very good professional, but he's quality also," said Silva. "He's our captain, he's important to us outside and inside the pitch. "He really deserved it. He scored and helped us win." As Arsenal pushed for an equaliser late on, Silva was involved in a heated touchline discussion with Arsenal boss Unai Emery following a dangerous tackle by Shkodran Mustafi on Dominic Calvert-Lewin. Arsenal midfielder Mesut Ozil also appeared to throw his coat in the direction of the Everton manager. 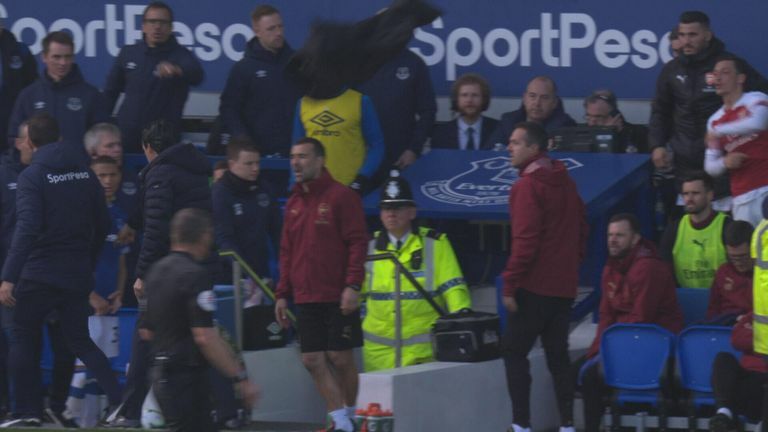 Watch Mesut Ozil launch his coat in the direction of the Everton coaching staff from the Arsenal substitutes bench at Goodison Park. "We had that moment during the game," said Silva on the incident. "Football is emotional, he wants the best for his team, I want the best also.